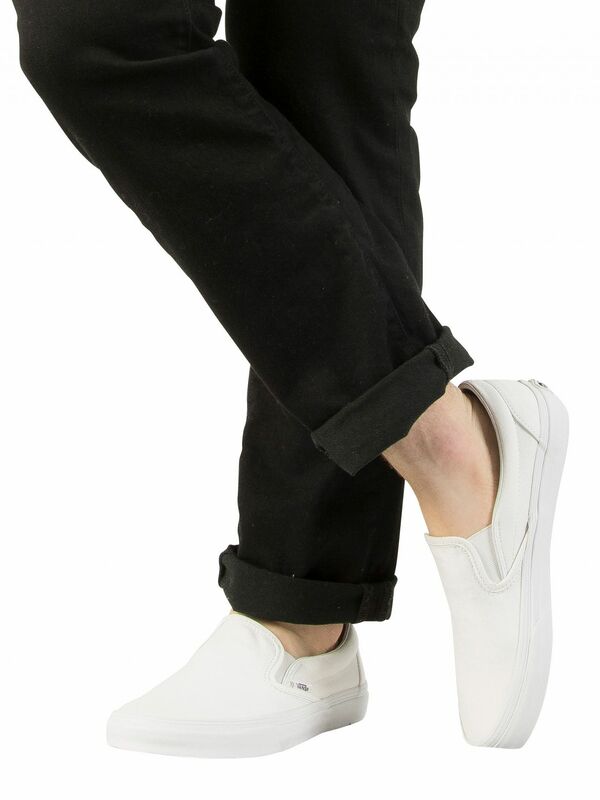 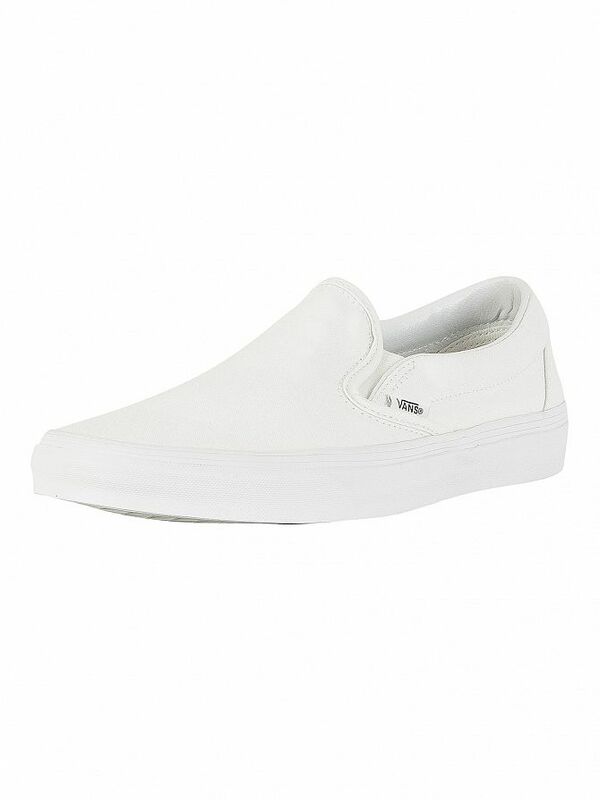 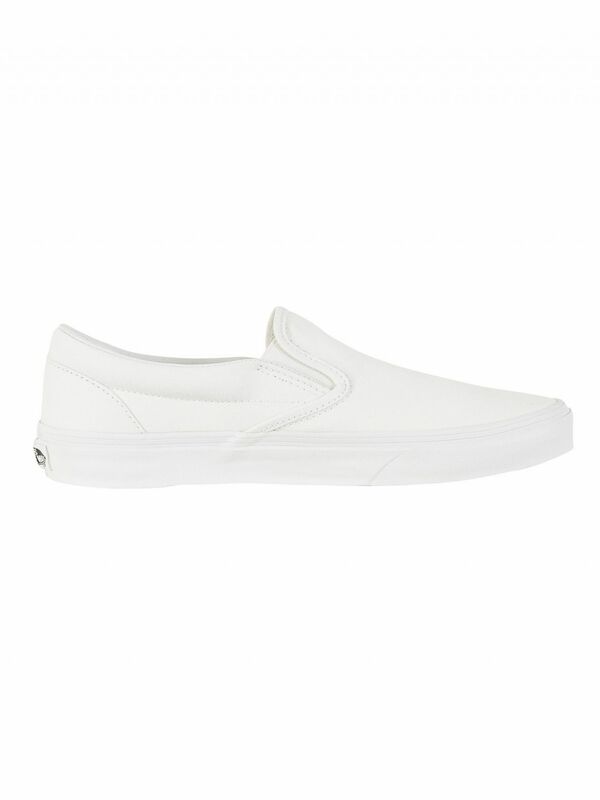 Offered by vans, the Classic Slip-On Trainers in true white features lining details throughout, textile uppers and elasticated inserts to the tongue. 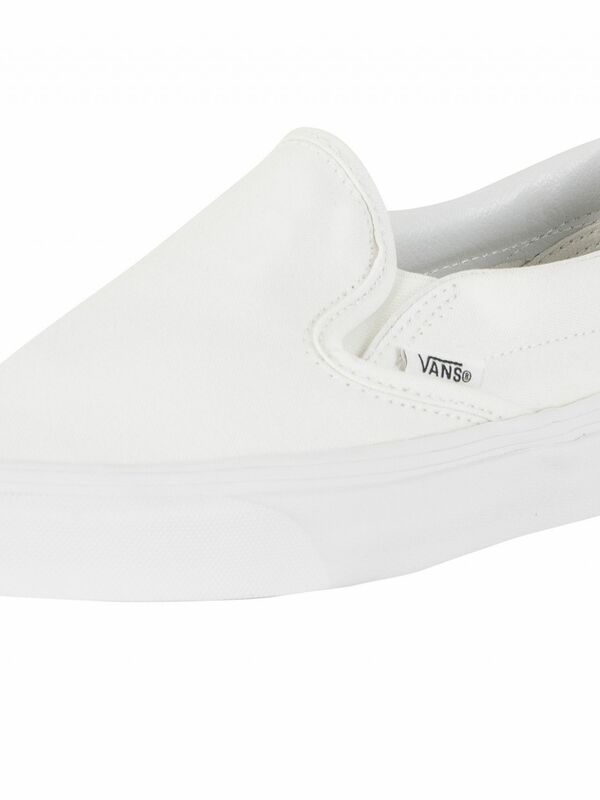 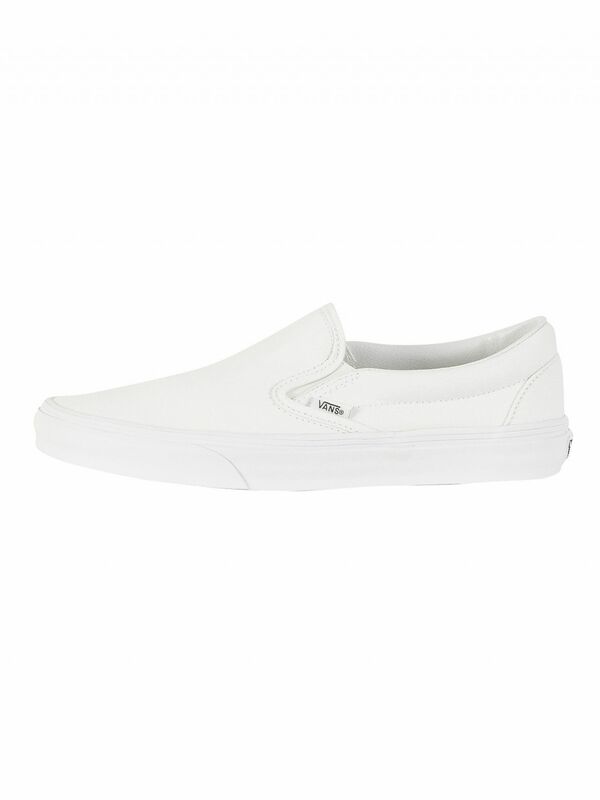 They come with Vans Off The Wall logo to the back and brand flag stitched to the sides. 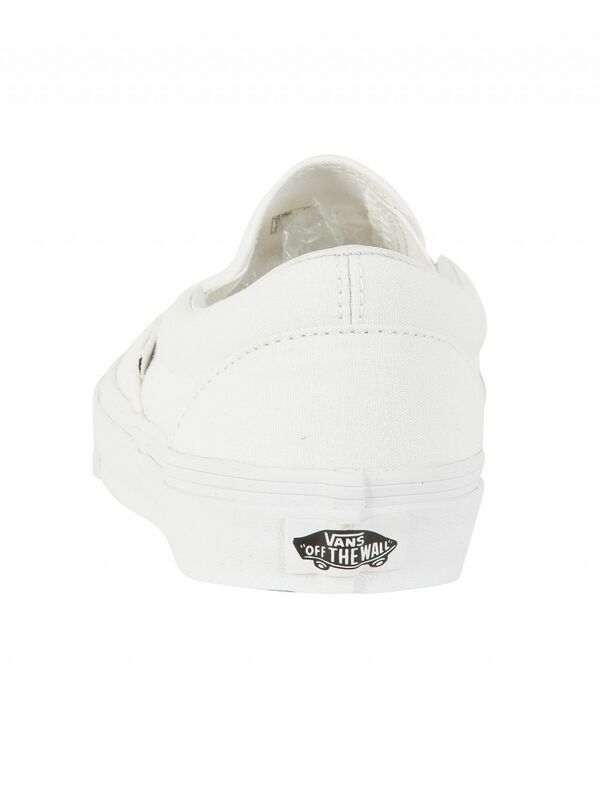 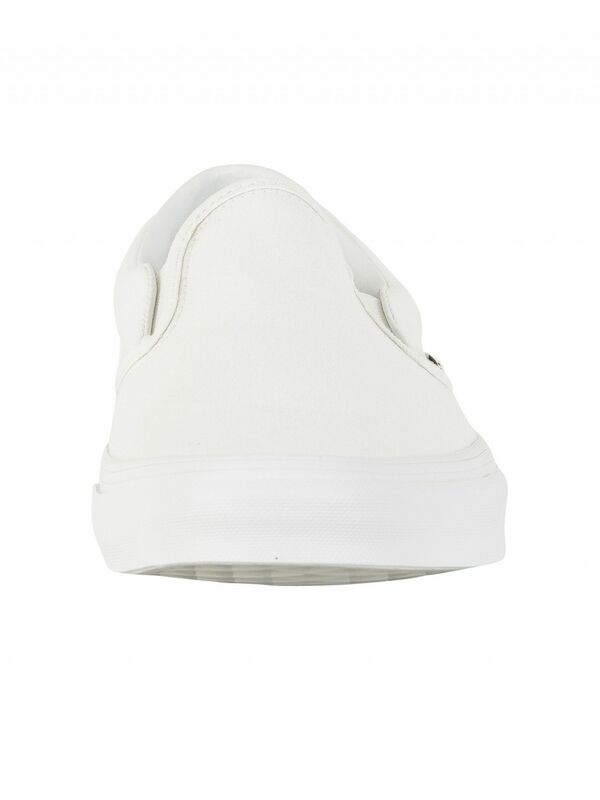 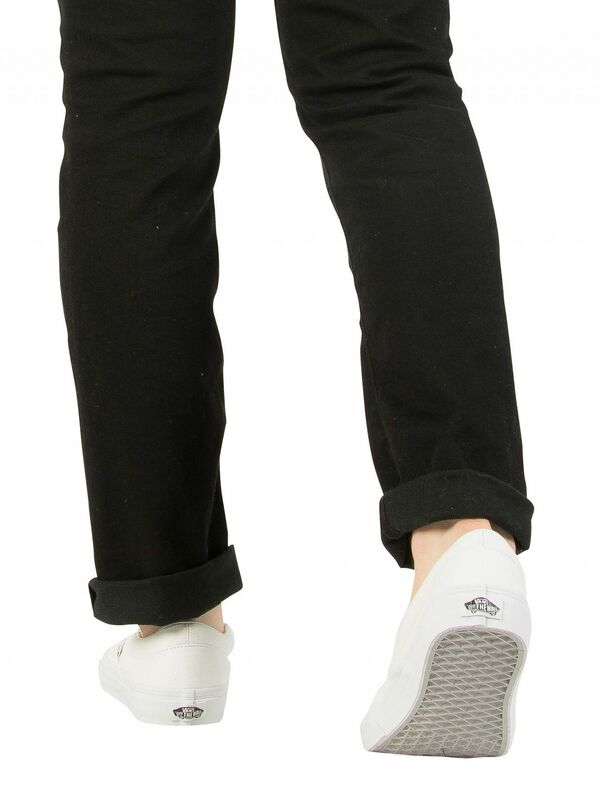 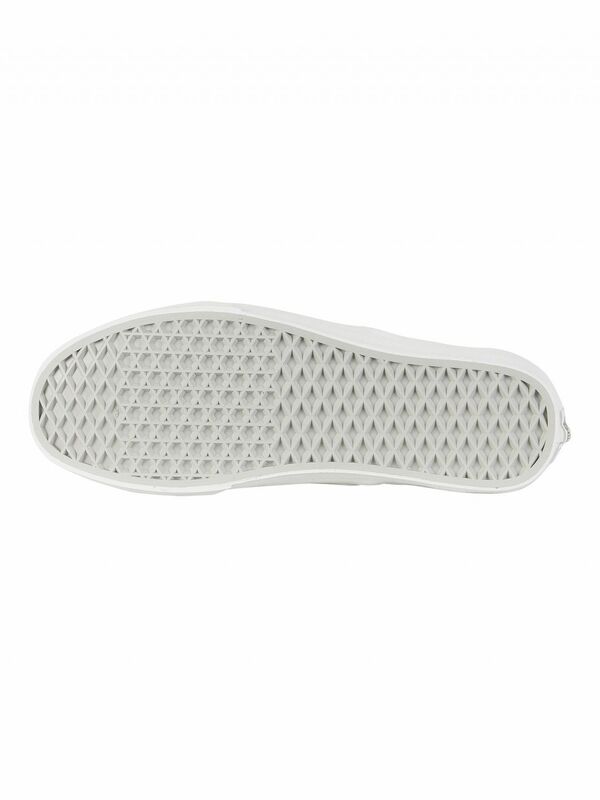 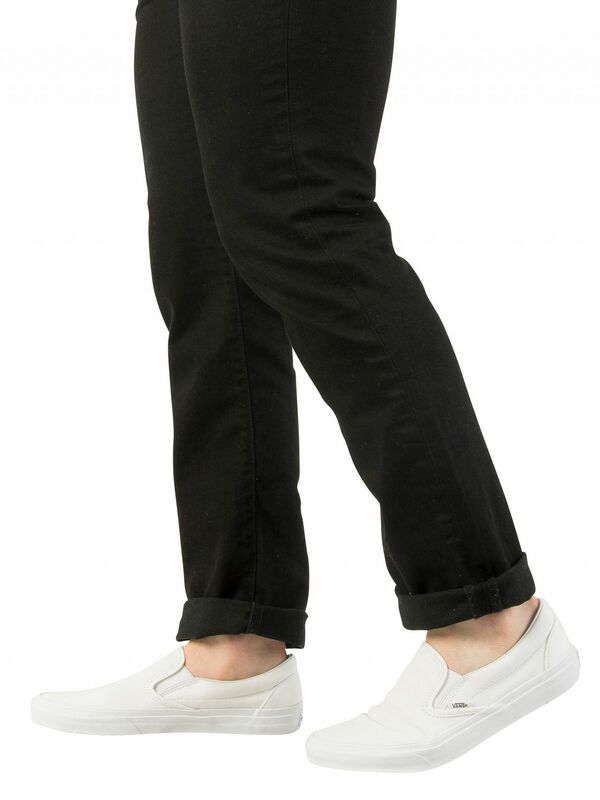 These trainers for men also feature padded collar, white rubber sole and brand name printed on the heel.